In the YouTube video below the design of a flightsim panel for a Garmin GNS 530 GPS is shown. The 40 pin connector has been layed out so that the pins match the input connector of an OpenCockpit Master card. The pinout can be found in the Excel sheet below. 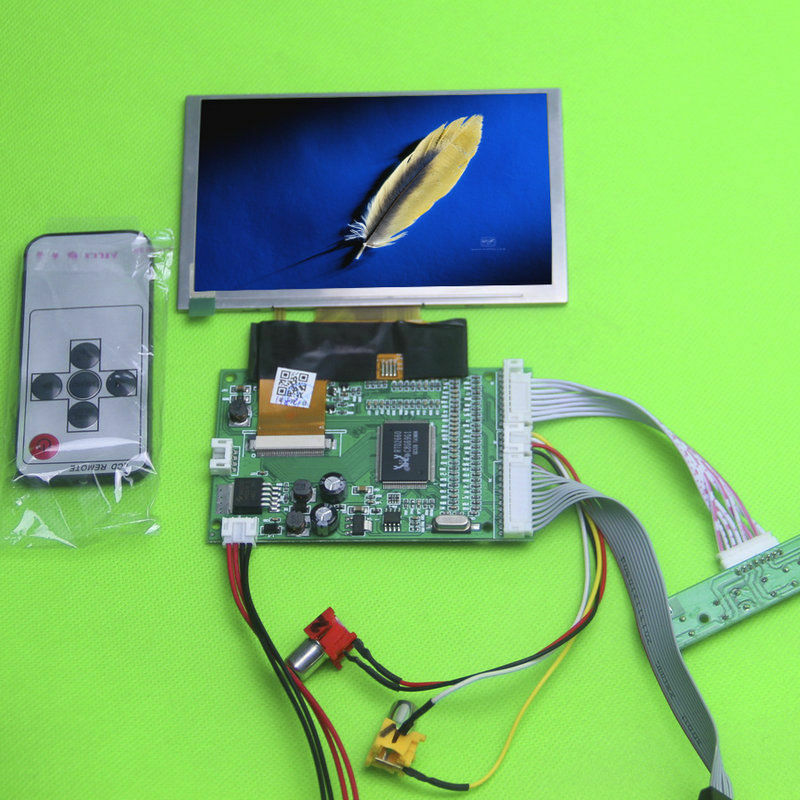 A 800x480 VGA monitor and control board can be piggy-backed to the PCB for the GPS screen. The dual rotary encoders with switch used in the design are described in one of the blogs on this site. The KiCAD schematic and PCB layout designs are ready, the PCB has been ordered but has not yet been verified in practice, so use of the files below is at own risk. 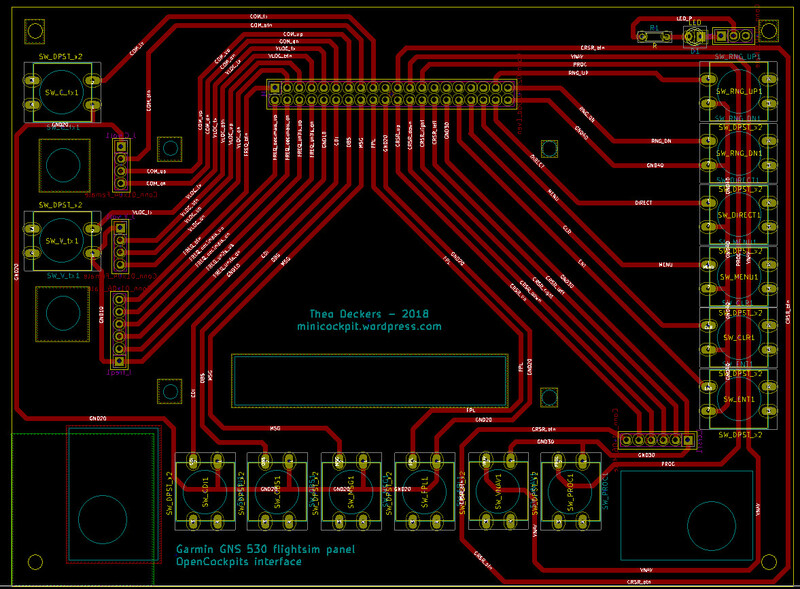 The current revision for the schematic and PCB layout can be downloaded below, the CNC design for the buttons and panel will follow later. ATTENTION: While testing the board I noticed that there are two errors in the board design below: because the rotary encoders in OpenCockpits must use consecutive logical inputs there’s a problem with the the VLOC and COM encoders. The dual encoders are OK, but the VLOC and COM single encoder connections need a fix: swapping the connections to the pin of the VLOC_tx switch with the VLOC_up encoder pin and the pin of the COM_tx switch with the COM_up encoder pin will make sure that the encoder pins get consecutive logical inputs. Shortly I will upload a fixed board design below.